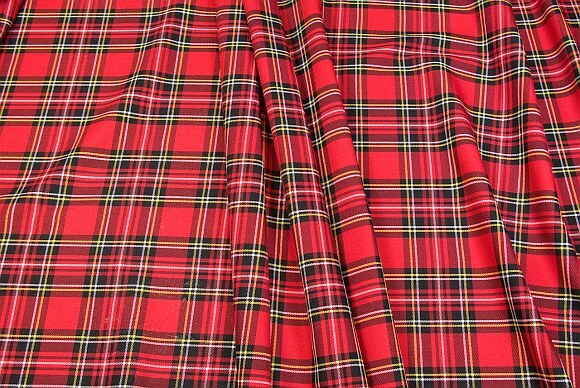 This tartan fabric is of a light quality with a strong red base and black, white and yellow lines. Rectangular areas are ca. 12 cm diameter. 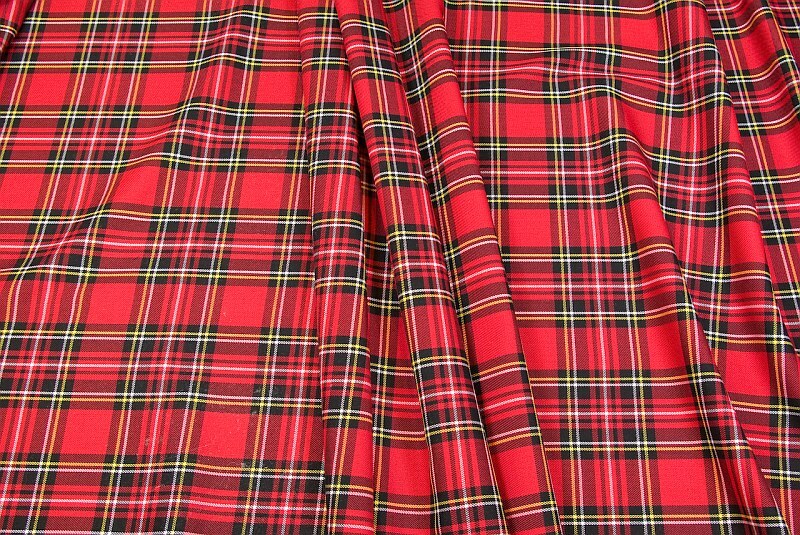 Tartan checker fabric in red, green and yellow.